I have been researching on bigfoots for my research! anyone who has some evidence can please help me in it. I want real life proof in my research..
Hi David, welcome to UM. There are many threads here about Bigfoot .... have a look at them. I don't think you'll get any new information in this thread; it's all been raked over many, many times! There are many threads here about Bigfoot .... have a look at them. I don't think you'll get any new information in this thread; it's all been raked over many, many times! If Bigfoot had been raked over "many times" as you claim, wouldn't there be evidence such as clumps of hair and cryptid combs? If Bigfoot had been raked over "many times" as you claim, wouldn't there be evidence, such as clumps of hair or cryptid combs? I heard that Bigfoot and his wife got jobs. He sells beef sticks and she's doing work advertising for a mattress company. I spent about 35 years beating the New Jersey Pine Barrens and following up reports. I got nothing but bears, pet peacocks making noises, liars and stoners and a guy in a monkey suit. We all that Bigfoot exist. Have you walked down the shoe aisle lately? I want real life proof in my research..
Good luck with finding anything thats not a scam or hoax. Welcome to UM david4121... The bottom line is there is no real proof of Bigfoot existing, or we wouldn't be discussing this here in the Cryptozoology forum we would be discussing it in the Nature forum. So all you have to base an opinion on is your research and personal belief and opinion. However I would love to see your research and more important your belief... Do you believe he/she exists? I don't think they exist but if they do I guess they would have a bigger chance of existing without being spotted today than in older times since fewer people are living in remote locations today, a lot of people have moved to cities. If Sasquach do exist, and you had a live sighting of one... Would you respond to it in an aggressive manner to fend it off, or would you approach it from a gentle, "let's see if we can communicate" manner? I would probably be inclined to not mess with it, if possible. I wish they did exist, but they do not. 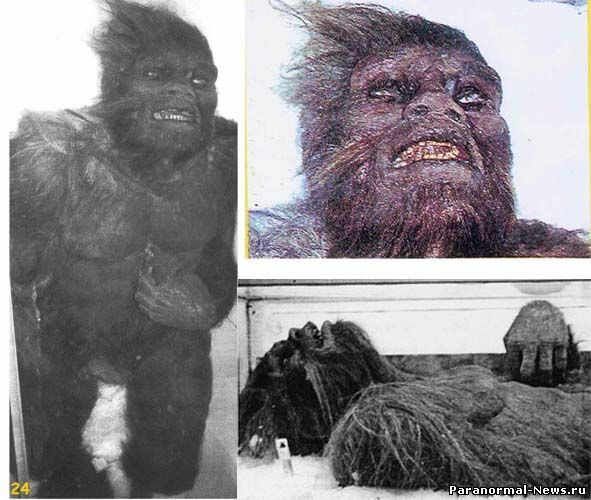 The USSR was the only country in the world where the problem of the bigfoot search was considered at the highest state level.The working hypothesis that guided the commission was that the snowman was the primacy of the degraded branch of the Neanderthals, which had survived to the present day. If you do research and read the many UM threads on Bigfoot, you will find the three or four members who claim to have actually seen one. And then you should PM them for their whole story. Go read the threads.... Research... If you depend on people coming to you, all you will receive are the skeptics. These pictures are all proven fakes. Ahhh... childhood memories, the countless wasted hours spent in the library, checking out every book I possibly could on Bigfoot and Nessie. Oh, and all the overdue charges, much to the chagrin of my father. 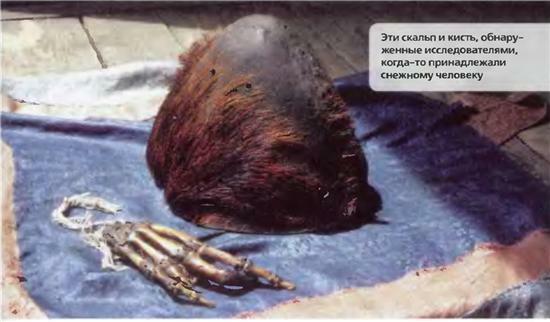 The last one is the Tibetan hand and scalp, which I think, the scalp at least, was shown to be made of goat skin (DNA analysis). Not sure about the hand. Anyone know? Yet one need not be a child to have childish fantasies. It is when those fantasies intrude on your actual life, and affect your health/finances/reputation that it is a problem. I did the library thing too. But, I did UFOs, Bigfoot, Norse myth, Monsters. It is probably not a mistake that the UFO/Crypto-creature/Monster section of the library was right next to the Religion section. I did find it intersting though that Computer Programming seemed to be right before the Supernatural and Philosophy sections, and not back with Science and Technology. I'm not sure but I think it came from a known ape. Lizardman does. I saw him once chasing my grandmothers car. At night. When I was 7. And I had just finished reading about him. The wrist looks human . In the book of the Russian researcher there are numerous evidences of the snowman by the local population, therefore, it is unlikely that all people have hallucinations about his existence on different continents. Probably, the science did not study him well enough, therefore, different witnesses try to pass off for falsities or parts of animals are given out as a bigfoot in order to generally make it a fictional character and thus an imagination of people. For me, there is enough evidence of people and not his dead carcass on table. I thought the same way about the New Jersey Bigfoot-"Jersey Devil" compounded by the fact that he was one of our legendary creatures. But when I started showing up at places he was sighted and poked around it proved to be something else. There was ( and still is) several Aussies here who were chasing Yowie reports and came up with the same facts I did. People misidentify, misremember and outright lie.